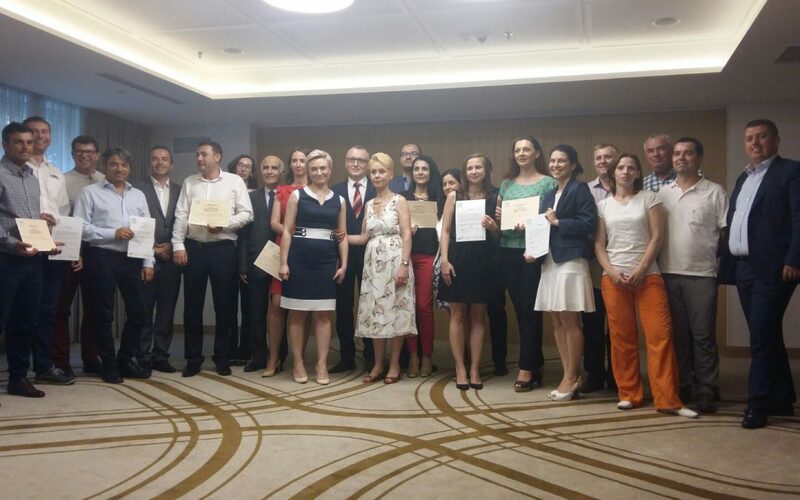 Bucharest, July 12th, 2017: After 6 modules and 18 days of training during the first half of 2017, the first promotion of the Black Sea Agribusiness Executive Program ended with the graduation ceremony. 11 graduation certificates and 8 affidavits were awarded by the academic partner of the program, the agricultural engineering school ISA-Yncrea from Lille, France. The program is promoted in Romania via Agxecutive. Several speeches were delivered by the graduates, representatives of both partners, but also by Sorin CAMPEANU, the President of AUF and Severine JACOBS, Agricultural attachee of the Economic service of the French Embassy. BSAEP is the first French-Romanian continuous training program for the agro-food sector of Romania.